As websites become more business critical, the costs of running them seems to escalate. But are you getting a return on that investment? For many organisations, the effective management of digital continues to prove elusive. The reason — their approach is fundamentally flawed. Before you can turn your website from an expense into a measurable source of income, you must understand the problem. My ebook helps you do exactly that. It outlines why your website is not performing as well as it could be and suggests tangible ways to increase its effectiveness. Use business objectives to inform decision making. How to measure your successes and failures. How to become more user focused and why that matters. Techniques for creating effective calls to action. Ways to evolve your site over time. Approaches for driving more traffic to your website. Making the case for change to management is never easy. That is why I have created a short 20-minute presentation that not only helps you as a website manager but is ideal for showing your management team. It outlines a case for managing websites more effectively. A case for ongoing investment and more agile management. Discover that websites cannot be treated as finite projects. Understand the benefits of continually evolving your website. Be introduced to the concept of the minimal viable project. See the need for continual management by empowered leaders. Learn how committee management is stifling the web. Discover the need for a user focused approach to testing. It should make your job a lot easier too! As well as the ebook and video presentation, there is a season of the Boagworld Podcast dedicated to the subject. You can access all the episodes below free of charge. To mark the end of season one of the Boagworld Show we recorded a live special from SXSW in Austin Texas. When driving traffic, think quality as well as quantity. (S01:E06) As website owners how do we drive high quality traffic to our websites that will generate the return on investment we need? Are you refining or rotting? (S01:E05) Too many websites are just left to rot. 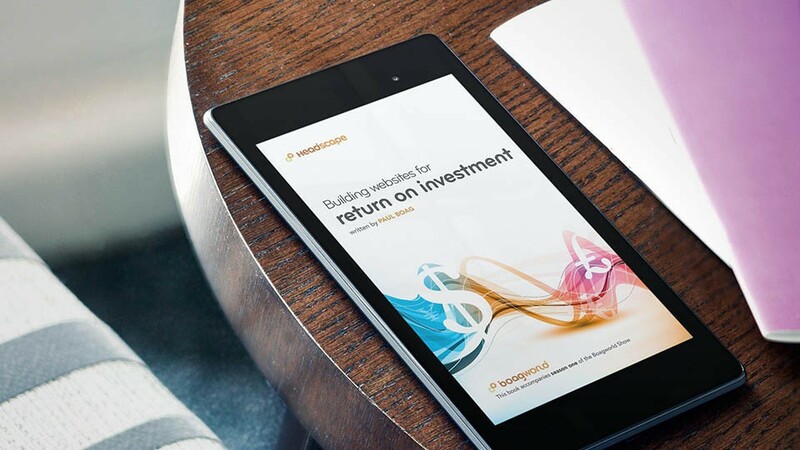 If you want your website to generate a return on investment you need to continually refine it. (S01:E04) Everybody seems to go on about calls to action. They offer obvious benefits to your business, but what about your users? (S01:E03) Although business objectives should be your sites number one goal, ignoring users would be a mistake. Happy users are a prerequisite of a successful website. We kickoff Season 1 of the new podcast with a 40 minute live webcast on building websites for return on investment.